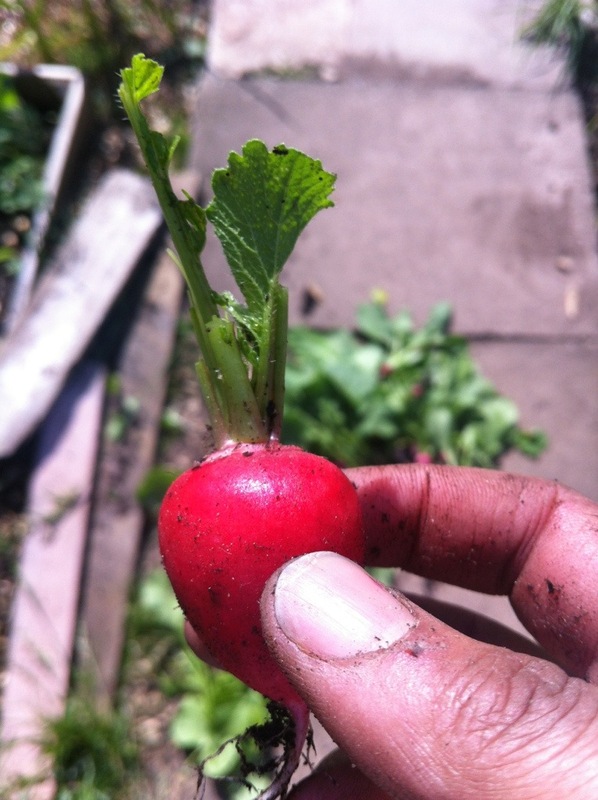 We have radishes. They are not big, apart from the one and only one seen at the top. This was primarily an exercise in thinning. 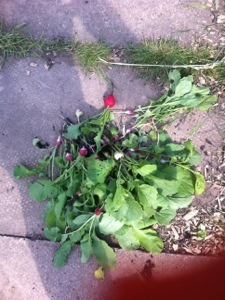 The radishes are struggling in their broadcast sown state. So I furtled for anything that could be taken home and eaten. I composted the leaves, and getting home; dad asked why I didn’t keep them. They’d be good for Salad. Didn’t look so good to me! Pops ate the big red thing, and declared it better than the shop ones. I discovered that I don’t like them.